This page allows you to manage the users responders. 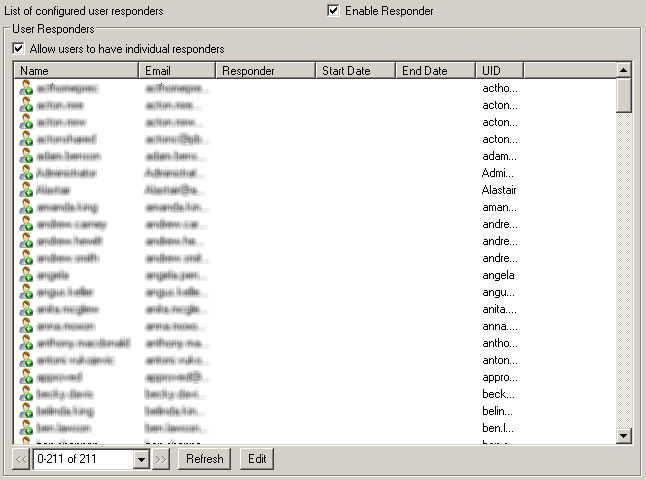 Users can be managed in the users list - this list allows you to edit existing users responder settings. With this setting enabled users can have their own individual responders. Disabling this deactivates all user responders.